Chasing the illusory goal of light but strong has always been the bane of engineers. With respect to the automotive racing community, while speed is paramount, there is the additional objective of driver safety, often conflicting with the light but strong mandate. Achieving cutting-edge performance as well as safety given the complexity of vehicle models and diversity of materials is a daunting task indeed. Lighter, stronger, faster: every manufacturer and racing franchise pushes the technology envelope to analyze, refine, iterate, and test to gain a meaningful advantage on race day. Race cars must be optimized for weight, performance, reliability, and efficiency. 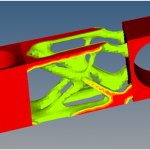 This process involves a multitude of computer-aided engineering (CAE) tasks, including the meshing of parts and full vehicles, the finite element analysis (FEA) of components, crash test simulation, optimization, and computational fluid dynamics (CFD) analysis. In the design of a complete vehicle, engineers design and optimize every single part of the vehicle, simulate crash tests, simulate the aerodynamic performance of the car, and fulfill the rigorous testing requirements for Fédération Internationale de l’Automobile (FIA) homologation before a physical prototype is even built. Use of innovative materials represents a significant variable in the weight and strength equation. Options include high-strength steel, stainless steel, aluminum alloy, and composite structures. Composites introduce a high level of complexity for CAE analysis, particularly for crash simulation. Various shapes and types of composites (woven, uni-directional) must be modeled and manufactured differently. Behaviors are difficult to predict as the physical phenomena are very complex. A significant amount of data is necessary to perform the analysis, and specialized expertise and software is required. Dallara Automobili is an Italian chassis manufacturer that designs with safety in mind. Several prominent drivers have gone on record to attribute their survival after potentially fatal crashes to the company’s design innovation. While speed is always paramount in racing, the company is committed to pushing the boundaries of what can be done from an engineering perspective to protect the driver. Toward that end, they use Altair HyperWorks, a comprehensive open-architecture CAE suite containing pre- and post-processing tools, multiple solvers, and optimization capability. 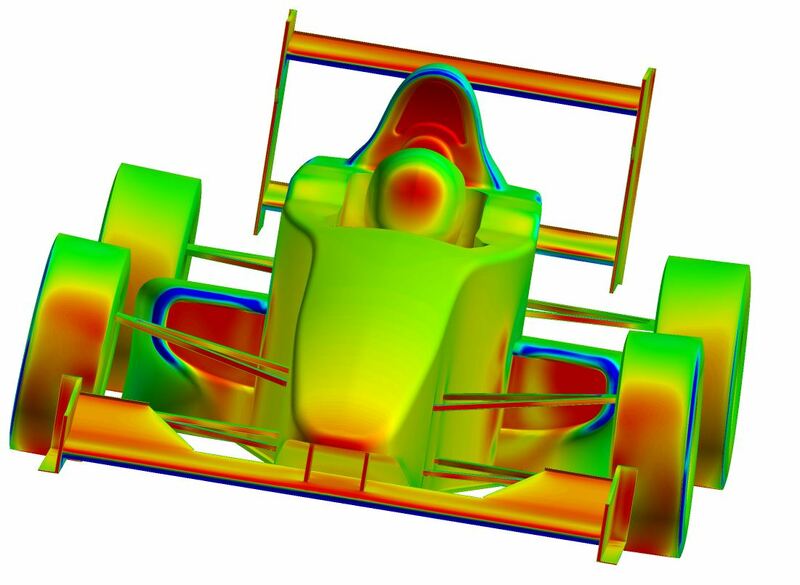 For Beta Epsilon, a design company offering high performance full vehicle design and engineering services to automotive manufacturers as well as racing teams, computer-aided engineering (CAE) tools are indispensible. The company has expertise in light composites structures, particularly those subject to dynamic stress and a high level of vibrations, including their manufacture. In-house prototyping, crash testing, homologation services, and aerodynamics simulation represent additional competencies. 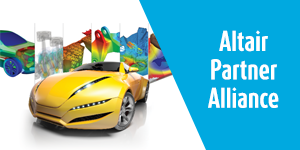 With Altair HyperWorks®, Beta Epsilon has access to almost all the CAE tools required in its development process, including pre- and post-processing, topology optimization, crash and impact analysis, CFD, and wind tunnel simulation. 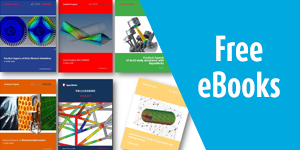 For aerodynamic simulation in particular, Beta Epsilon relies upon CFD analysis to understand the physical phenomena occurring as a consequence of a particular design. 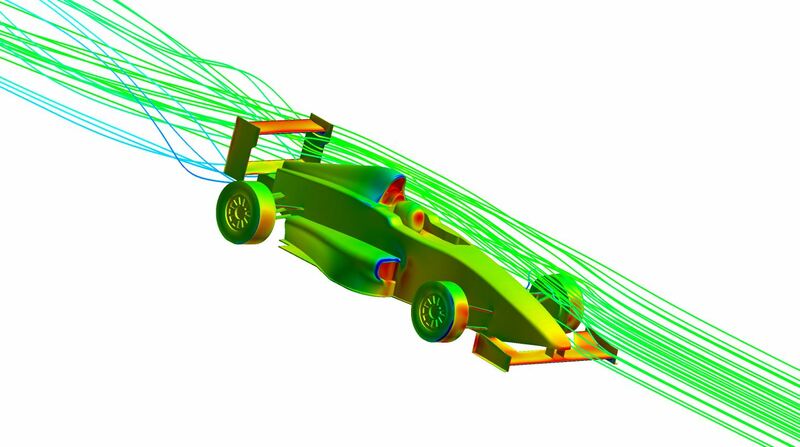 HyperWorks Virtual Wind Tunnel enables the study of downforce, drag, cooling airflow, and flow structures for increased safety and elite performance. 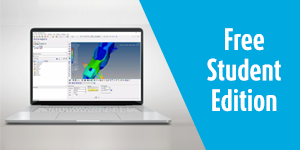 The solution offers advanced meshing capability, high-fidelity CFD simulation, powerful reporting features, and a simulation-driven design workflow. Multiphysics such as fluid-structure interaction (FSI) may be studied, for example the deflection of a spoiler due to aerodynamic loads and its impact on the downforce of the vehicle. Race engineers need to understand the flow structures along the entire vehicle length to maximize the downforce. Without sufficient downforce, safety and engine power could be compromised. Central to the HyperWorks Virtual Wind Tunnel solution is AcuSolve, Altair’s general purpose flow solver that is highly differentiated by its speed, scalability, robustness and accuracy. Its advanced turbulence modeling technology enables HyperWorks Virtual Wind Tunnel to predict the flow field and flow separation using steady-state and transient simulation for faster and more accurate results. 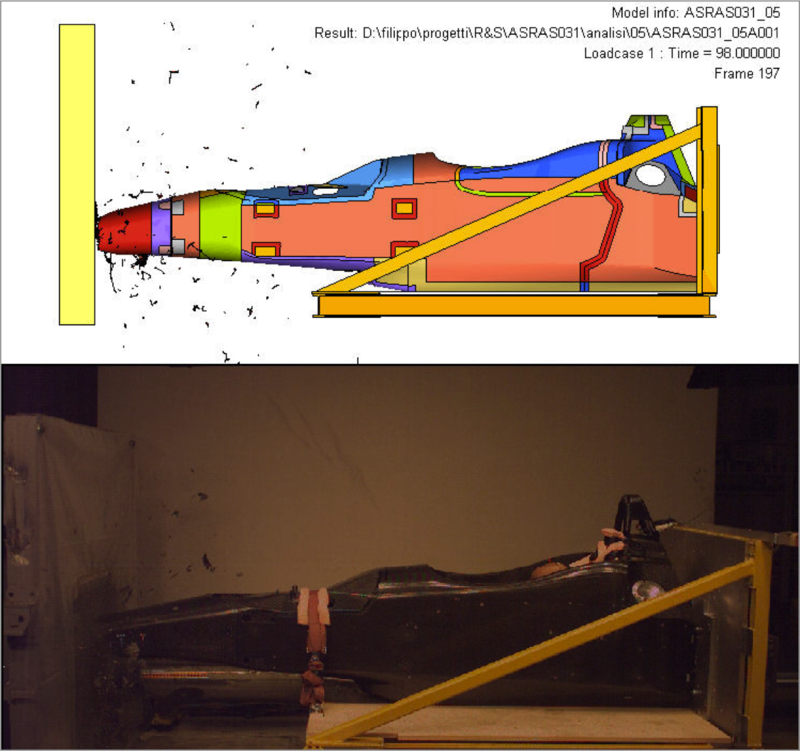 AcuSolve’s best-in-class FSI facilitates more realistic and comprehensive automotive virtual wind tunnel simulation by considering the flexibility of structures and flow-induced vibration. Of particular note, AcuSolve is highly tolerant of varying element qualities, efficiently handling unstructured meshes with high aspect ratios and badly distorted elements. These mesh characteristics are unavoidable with complex geometries. Accurate external aerodynamics results are achieved for both steady-state and transient simulation. In addition, thermal characteristics such as engine and brake cooling may be studied. This level of analysis would not be possible without significant computing resources. 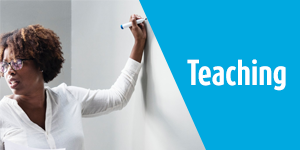 For additional scalability, an engineer may easily tap into the power of high-performance computing (HPC) by submitting his or her job to a computing cluster. This often occurs, and is very convenient for compute- and memory-intensive tasks like volume meshing, solving, and post-processing. For a one billion element model, excellent parallel solver run efficiency (over 90%) has been demonstrated with up to 1600 cores, and very good parallel efficiency (80%) at 3200 cores. Intelligent automation for problem-setup, mesh statistics, and results makes the process even easier using HyperWorks Virtual Wind Tunnel. 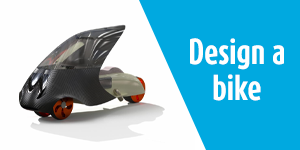 Use of CAE and virtual wind tunnel simulation has added flexibility and agility to the product development process at Beta Epsilon, Dallara Automobili, and many other Altair customers in motorsport. 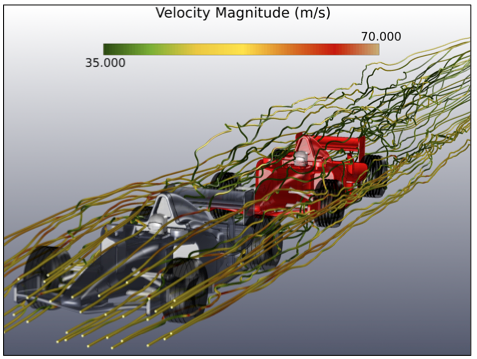 Efficient, robust, accurate physics-based simulation, including multiphysics capability along with the ability to seamlessly leverage the power of HPC, enables engineers to investigate phenomena occurring as they design, rather than after the fact. Design changes may be explored interactively, for rapid iteration and shorter development cycles. This is revolutionary in that a more optimal design may be reached and better performance achieved than would otherwise be possible.